With Antonio Caldara’s 'Morte e sepoltura di Christo', released on Glossa just after a new album devoted to Vivaldi’s late violin concertos, Fabio Biondi returns to the Italian oratorio, another of his specialities. The Venetians Caldara and Vivaldi may have been contemporaries but their career paths led them in different directions, and Caldara was to spend much time working in Mantua and Rome before securing the position of vice-Kapellmeister for the Holy Roman Emperor Charles VI in Vienna. For the last 20 years of his life Caldara produced copious quantities of oratorios (and operas), adding a rich sense of counterpoint and making use of the broad orchestral colouring offered by the varied instruments available to him at the Imperial court. Composed for the Lenten season in 1724, 'Morte e sepoltura' follows the typical two-part scheme of the time, to a text comprising a series of reflections as from personages involved in some way in the events of the Passion of Christ. Notable is the profusion of solo arias with obliggato instrumental parts. Instrumental pieces by Caldara, Fux and Vivaldi are included. 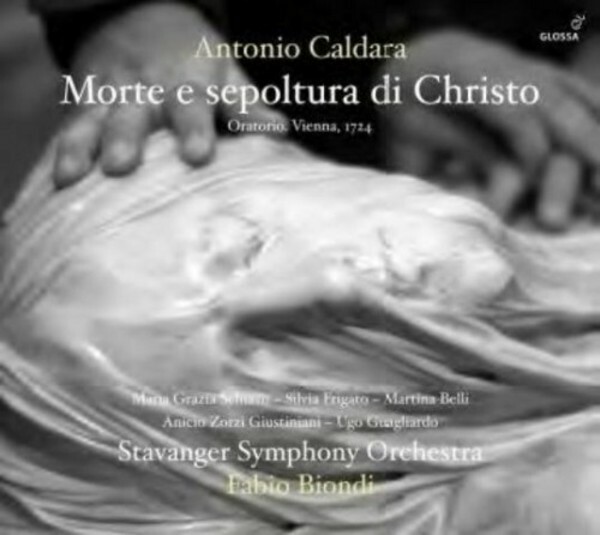 Fabio Biondi’s recording, with a team of soloists led by Maria Grazia Schiavo and Silvia Frigato, also includes other echoes of Caldara’s Italian past – a pair of motets and instrumental music (a Vivaldi Sonata also makes an appearance), and he directs the Stavanger Symphony Orchestra, with which he has worked so successfully in the Norwegian orchestra’s early music programme since 2006. The album also contains an exemplary essay by the leading Caldara scholar Brian W Pritchard.